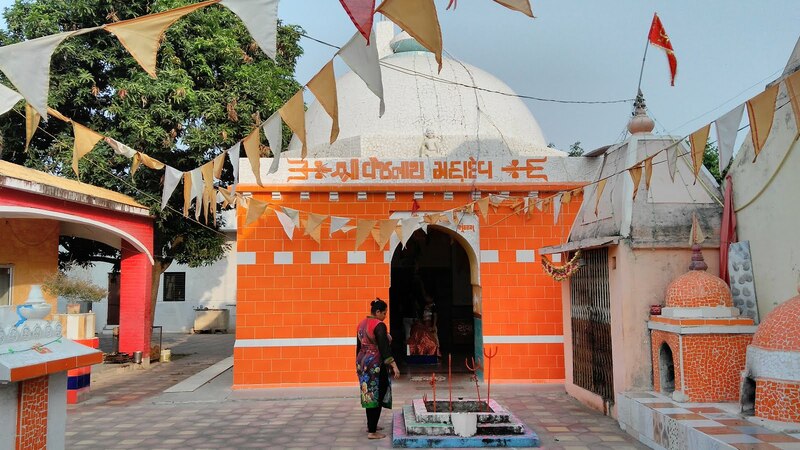 Vaijnath Mahadev Temple, Jitodia, Anand, Gujarat. We visited Ancient Temple of Shri Vaijnath Mahadev at place called Jitodia near Anand Gujarat, during our road trip to Gujarat in month of Oct.2016. 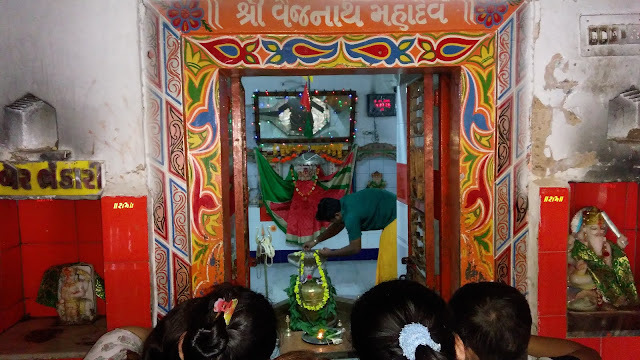 We come to know about this temple from some local people for it's divine uniqueness. 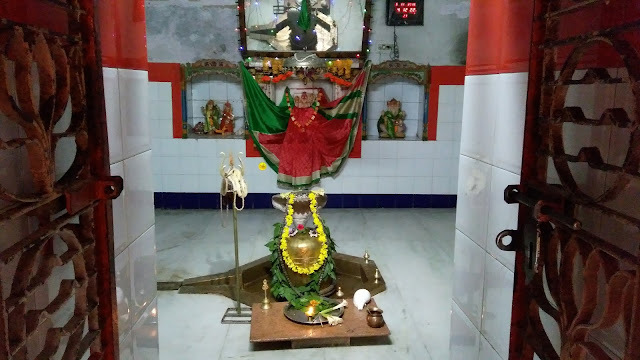 This is very unique Temple because this is one an only temple in the world where water is coming out from Shiv Linga itself. I know it's hard to believe, my reaction is also same. but to clear our doubt we need to visit there first. when we reach there we saw a very simple old type structure with very quit & peaceful surrounding. 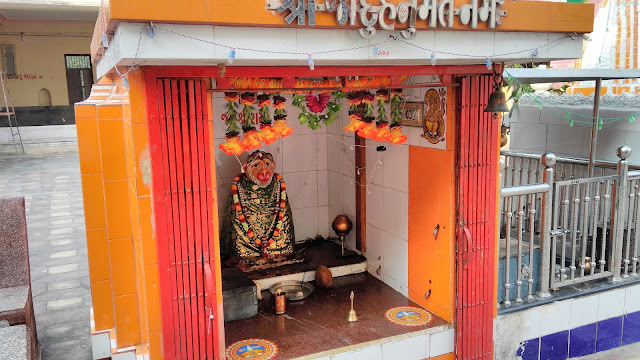 Inside the main area there are few small temples of Hanumanji, Mataji, Sai Baba Etc. & also main Temple of Vaijnath Mahadev. 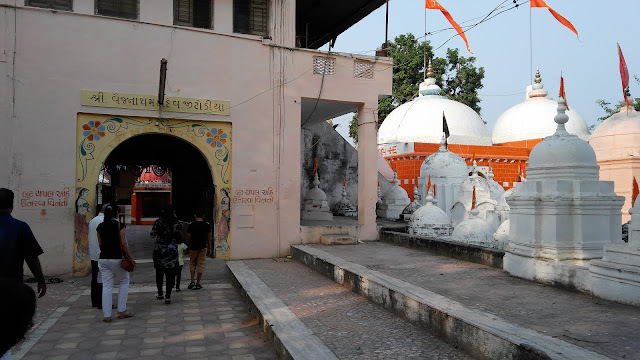 After taking Darshan we meet Pujari of this Temple and we came to know that this temple is here from 11th century (more then 900 years old) & there was a story behind it. Now we are very excited to know more about it, so we requested him to tell us in brief. 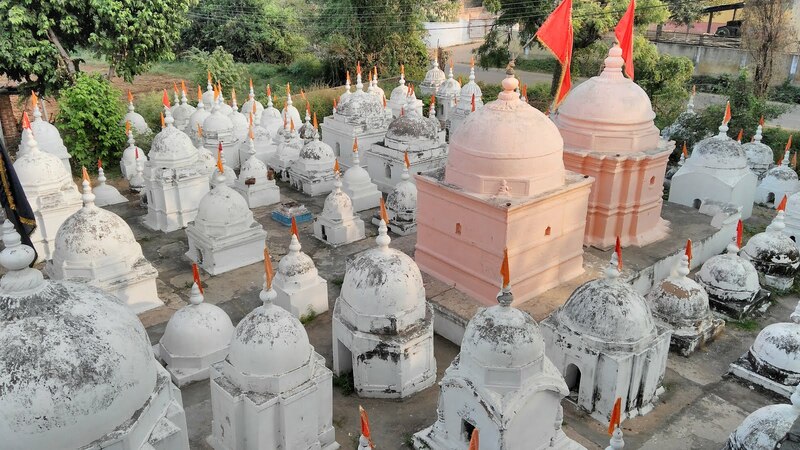 During Mughal era they tried to destruct this temple so many time, but due to sacrifice of Pujaris and devotees this temple is safe till the date. you can find more the 100 Samadhis beside the temple which reminds us the bravery & devotion of the people of that time. One thing we specially want to mention that we don't promote any superstition, but what we saw it's truly unbelievable. Its just about 10-15 Kms. from Anand city, it took around half an hour to reach there. you can visit by private transport or take Auto too. we have put G-maps location link at the end of this post. From morning to Evening this temple is open for all. 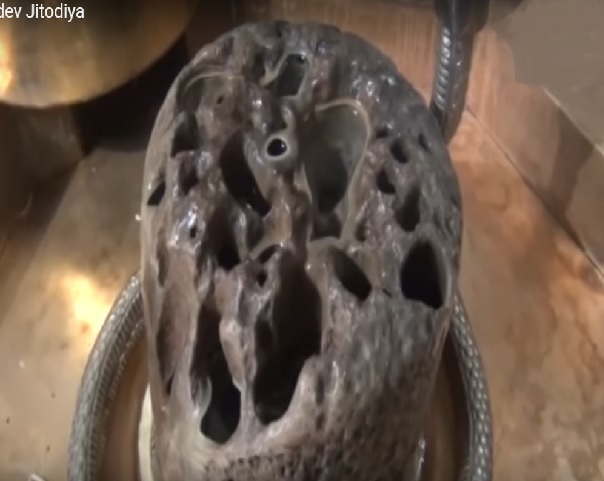 but if you want to do abhishek or touch the Linga itself you must visit before 12:00 PM. During Shravan Month there are so many devotees coming here, and from all over India more then 100 bramhins come here & stay for 40 days and do Havans & pooja of Lord Shiva. If you want more Information about this place you may call Mr. Bhishma Goswami on +91 88660 98088. Sai Baba has always believed that education is an effective tool for transformation. Many schools have been established under the enlightenment of Swami to help children understand human values along with attaining academic excellence.